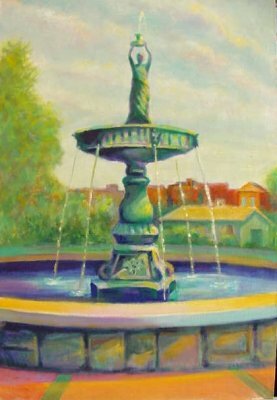 The name of the fountain is "Rebecca of the Well" and originally stood in the square at Innes and Main street from 1888 to 1905. It was sold for scrap metal during World War II. An exact duplicate was made from the original 1888 molds and installed at the intersection of Innes and Depot Streets in Salisbury NC.